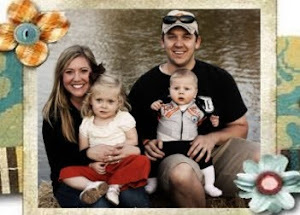 Two things have been greatly missing on my blog... an actual giveaway and an update on my baby. Today both of your fixes will be satisfied. I don't know why I haven't posted these before, but here are some of my favorite pictures of Kate with her grandpa ("Papa") and her great-grandpa ("Pap-Pap"). Since I am posting a Father's Day Giveaway.. I thought it would be fun to post pictures of her with my dad and grandpa. These are from their trip up for her birthday. Kate with my dad, her "Papa D". She can actually say "Papa" now. She said it to us one night about 10 times. We called my dad so she could say it to him.. and of course.. she said nothing. Kate with her daddy... well with her daddy's legs. I seriously think he is the BEST daddy in the whole world. I wish you all could see him with her.. he is an amazing father.. and husband! She gets so excited every time he comes home. She walks to the door and yells, "daddy!" 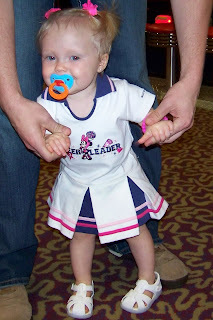 Don't you love her little Mickey cheerleader outfit?...It was her birthday gift from my grandpa. Chic Giving is sponsoring a Father's Day giveaway featuring their new Timeworks Inc. Pop Out gift clocks and Poo-Pourri. 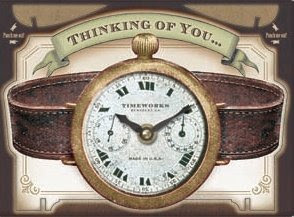 Timeworks Inc. is a high end clock maker. They have recently introduced a wonderful new gift line. 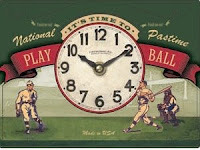 This Men's Wristwatch Clock will be a wonderful addition to any home or office. These pictures don't do them justice. They are really beautiful and great gifts. 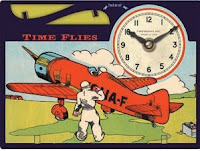 Added to this image, which was borrowed from the top of a 1940's wristwatch box, are the words of Leonardo DaVinci: "Time stays long enough for anyone who will use it." Wise words for any era. 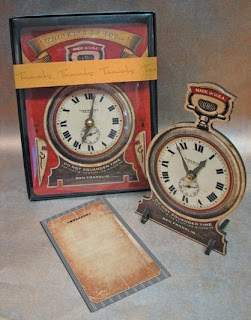 Here is a sample of what the clocks look like in the gift packaging and when they are popped out. Also included in this giveaway is a 2 oz bottle of Poo-Pourri. 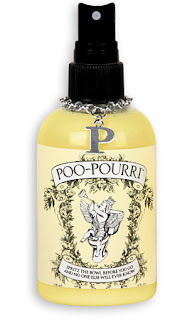 Poo-Pourri is a funny and unique gift and something you will find in all our bathrooms. Stop embarrassing odor with Poo-Pourri's patent pending bathroom freshener. The natural essential oils create a film on the surface of the water, trapping odor at it's source. A citrus fresh blend of Lemon-grass, Bergamot, Grapefruit and other natural essential oils that leave the bathroom smelling clean and fresh! The 2oz bottle is the perfect size for your bathroom. The stunning package also makes this a "Show Item" for your bathroom. There are also other scents.. No 2. and Heaven Scent. Their tag line: "Spritz the bowl before you go and no one else will ever know." To Enter: Visit Chic Giving and check out the selection of clocks and Poo-Pourri. Fill in the form below and let us know what item you think your "special man" would like. Contest will be open until Monday, June 1st at 10am. Winner will be posted here on Monday and will also be notified by e-mail.